Our Coloured Coir Matting range is extremely popular. The ideal way to tie a fitted mat in with the rest of your decor. Our black and grey shades come in the two most popular thicknesses of 17mm and 23mm. Other shades are 17mm, if your mat well is deeper than this you simply put some plywood in the bottom to make up the difference. 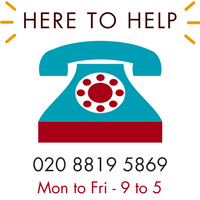 If you need any advice call +44 (0)20 8819 5869 or contact us. We're here to help.